There are a ton of neat little houses/apartments, many of them designed by their owners. One has everything behind cupboard doors, including a galley-like kitchen, and the bed takes up half the apartment. it’s 258 square feet. One is a rolling wagon, 89 square feet. And then there are small cube homes. When you’re designing your small home, remember to get transforming furniture! I had the opportunity to visit the Downtown Denver Aquarium, which was a lovely experience. It has about ten different ‘ecology’ areas, which gives it a lot of variety. Walking through the aquarium may give you an appetite for the seafood restaurant at the exit. Promising news: Landmark talks in Cairo about the future government of Egypt are held. Cairo’s Zabaleen – the traditional garbage people – collect the city’s trash by hand and haul it home on donkey drawn carts. Vast slums in the heart of the city are filled with mountains of stinking garbage, and in the alleys and roof tops, Zabaleen women and children sort trash for recycling. 300,000 pigs raised by the Zabaleen eat what can’t be re-sold, a practice that began in the days of King Tut. Following the Romans, a tribe of slave warriors called the Mamelukes defeat the Christian Crusaders. Under Islamic rule, Cairo flourishes with strict laws regulating the disposal of trash, and public sanitation. Napoleon invades, and a large section of Cairo is rebuilt – inspired by the architects and engineers who rescued Paris from its own sewage and trash. Today, Cairo awards sanitation contracts to multinational corporations, and the Zablaeen take to the streets and begin a desperate fight to protect their livelihood. The Zabaleen, who would be deprived of a livelihood by municipal trash collection, are employed along with the trucks to collect trash. Most of their pigs, who helped to recycle the garbage into meat, were slaughtered during a swine flu scare. The show mentioned that the birth rate exceeded the death rate for the first time only after sanitary sewers were installed in 1915. (That was true of most cities, which is why going to the city to seek your fortune was so risky. It’s also what kept cities from depopulating.) By 1930 the population exceeded one million. What happened to our urban birds and raccoons? I’ve noticed a change in the distributions here in Toronto. A couple of years ago the city started a composting program: all food scraps, tissues, greasy paper, etc. are supposed to be put into a separate plastic bin with a lid for separate collection. 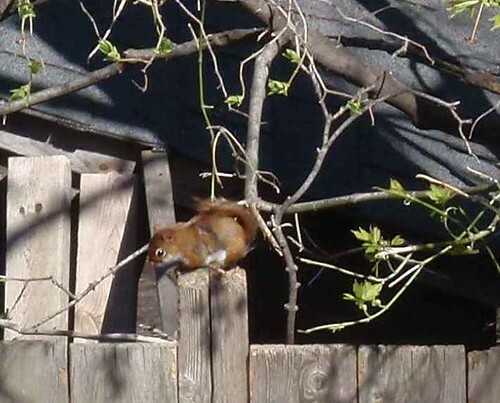 Since then I have noticed a big drop the number of raccoons in Toronto and an even more drastic drop in sparrows, starlings, house finches, pigeons, and other city birds. I suspect that the raccoons were spilling garbage and ripping open plastic bag and that they and the birds were feeding on the garbage. No one else has mentioned it. It’s hard to notice a lack, but fewer sparrows means fewer sparrow hawks, and so on. Lesson: You can’t do just one thing. You can read more about Will Allen, the CEO of Growing Power, at Agricultural Law: “Urban farmer wins MacArthur “Genius Grant.” There’s a link to a video. 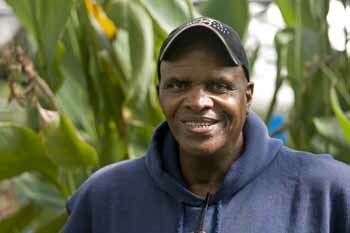 Will Allen inspires us as he develops ways of farming in urban communities and teaches them ot others. He has recently been awarded a MacArthur Foundation grant. Go, Will! In 1995, while assisting neighborhood children with a gardening project, Allen began developing the farming methods and educational programs that are now the hallmark of the non-profit organization Growing Power, which he directs and co-founded. Guiding all is his efforts is the recognition that the unhealthy diets of low-income, urban populations, and such related health problems as obesity and diabetes, largely are attributable to limited access to safe and affordable fresh fruits and vegetables. Rather than embracing the “back to the land” approach promoted by many within the sustainable agriculture movement, Allen’s holistic farming model incorporates both cultivating foodstuffs and designing food distribution networks in an urban setting. Through a novel synthesis of a variety of low-cost farming technologies – including use of raised beds, aquaculture, vermiculture, and heating greenhouses through composting – Growing Power produces vast amounts of food year-round at its main farming site, two acres of land located within Milwaukee’s city limits.